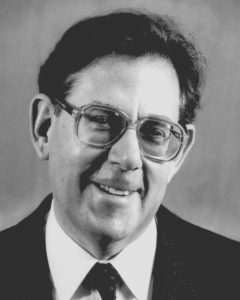 Paul J. Crutzen is one of the world’s authorities on atmospheric chemistry, he made landmark discoveries on stratospheric and tropospheric ozone, nuclear winter, and humanity’s capacity to upset the global atmosphere. Paul J. Crutzen has made landmark discoveries on stratospheric and tropospheric ozone, nuclear winter, and humanity’s capacity to upset the global atmosphere. His discoveries have led directly to several of the major atmospheric environmental movements of the past two decades. In 1970, Dr. Crutzen proposed that oxides of nitrogen could attack ozone by catalytic reactions in the stratosphere. One year later, he and Harold Johnston recognized independently that the large fleets of supersonic aircraft which were planned at that time could produce enough oxides of nitrogen in the stratosphere to substantially diminish the ozone layer. The hypothesis resulted in a four year research program by the U.S. Department of Transportation, which led to the discovery that trace amounts of chlorine could destroy stratospheric ozone. Later studies by Drs. Sherwood Roland and Mario Molina revealed the effects of chlorofluorocarbons as a source of chlorine and ozone depletion in the stratosphere. 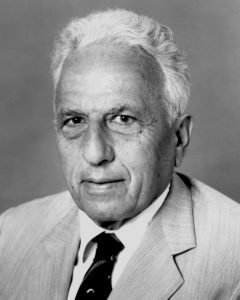 In a series of papers during 1972-1974 Crutzen proposed that photochemical ozone formation could take place in the global troposphere. Crutzen thereby reversed the earlier theory of stratospheric injection. This led to the realization that human activities, leading to increasing emissions of carbon monoxide, nitric oxide, methane, and other gases can create large increases in ozone in the troposphere and lower stratosphere. The climatic consequence of this was evaluated in 1978 in a paper jointly authored with Drs. Fishman, Ramanathan, and Liu. Another of Crutzen’s research breakthroughs dealt with the role of tropical biomass burning as a regionally and globally important source of many chemically and climatologically active trace gases. Together with Dr. Seiler, he was the first to indicate that a significant amount of carbon, which otherwise could have ended as CO2 during biomass burning, remains trapped in the form of charcoal, which is resistant to microbiological attack. Dr. Crutzen has been a member of the SCOPE/ENUWAR steering committee which led an international study on the climatic and ecological effects of a nuclear war. Dr. Crutzen is director of the Atmospheric Chemistry Division of the Max-Planck-Institute for Chemistry in Maim, West Germany. A native of Amsterdam, Dr. Crutzen received his Ph.D. and D.Sc. degrees with the highest distinction from the University of Stockholm. He was associated with the National Center for Atmospheric Research and the Aeronomy Laboratory of the National Oceanic and Atmospheric Administration in Colorado. He holds a Visiting Professorship at the University of Chicago. Dr. Crutzen has received the Rolex-Discover Scientist of the Year Award and the Leo Szilard Award for Physics in the Public Interest from the American Physical Society. In 1986 he received an honorary degree from York University in Canada. He is a founding member of the newly formed Academia Europaea and a foreign honorary member of the American Academy of Arts & Sciences. heavy metals. He pioneered costal pollution monitoring using living bivalve organisms. Edward D. Goldberg is internationally regarded as the doyen of marine environmentalists. He is the premiere marine geochemist and chemical oceanographer investigating global ocean pollution problems. He has led scientists and policy makers to address critical issues of human impacts upon marine ecosystems worldwide. Dr. Goldberg became involved with societal insults to the oceans in the early 1950’s, especially the release of artificial radionuclides from atomic energy facilities. He introduced a biogeochemical research paradigm for radionuclide pollution, showing convoluted routes back to man, which has guided much of present marine environmental quality research on chemical contaminants. Measurement of the times of deposition of strata in recent sediments was pioneered by Dr. Goldberg and his students in the early 1960’s as a technique for assessing trends in chemical contamination of local areas. Short-lived radionuclides, especially Pb-210, Si-32, and Ra-228, provided marine environmental scientists with their most important dating tool, covering the last 100 years during which most ocean pollution has taken place. He turned his attention to the deposition of DDT and other pesticides in the marine environment during the 1960’s. His research demonstrated that wind borne talc, a pesticide carrier, was disseminating DDT to the world’s oceans in amounts comparable to that carried by rivers. A national Academy of Sciences committee chaired by Dr. Goldberg in 1970 argued that the oceans are an ultimate accumulation site for the persistent chlorinated hydrocarbons, and as much as 25 percent of the DDT compounds produced may have been transferred to the sea. These estimates subsequently were verified. UNESCO asked Dr. Goldberg to prepare a report, entitled “The Health of the Oceans,” published in 1976. It assessed four kinds of major pollutants entering the oceans, including petroleum hydrocarbons, halogenated hydrocarbons, heavy metals, and artificial radioactivity. It also considered the rate of response of national and international authorities to specific problems. Dr. Goldberg’s brilliant idea of monitoring the pollution of coastal marine waters by studying bivalve organisms was proposed in 1975. “Mussel Watch” pioneered widescale, multichemical monitoring of marine pollution funded by the EPA and continued under NOAA. Led by Dr. Goldberg from 1976 to 1978, scientists analyzed mussels and oysters collected at over 100 stations along the coastal areas of the United States. Mussel Watch has been used by China, India, Russia and other countries. In 1983, Dr. Goldberg proposed an “International Mussel Watch” for halogenated hydrocarbon pesticides in the tropics and southern hemisphere. Collection and analysis are proposed for 1990 under the guidance of the United Nations Environment Program and UNESCO. Dr. Goldberg also has researched the dissemination in the environment of elemental carbon (soot) produced from fossil fuel and biomass burning. Studies of soot in the atmosphere, in sediments and in soils demonstrated the impacts of such combustions on the quality of the environment. Sediments in Lake Michigan showed increases in soot and heavy metals beginning about 1900 which paralleled the rate of coal burning. Recently, Dr. Goldberg has spearheaded an effort to ban the use of tributyl-tin containing marine paints in the State of California. These coatings are perhaps the most toxic substance ever deliberately introduced into ocean waters. They are used to reduce or eliminate fouling organisms from the bottom of boats and other surfaces in marine waters. The National Academy of Sciences honored Dr. Goldberg with election to membership in 1980. He is a member of the American Association for the Advancement of Science, the Geochemical Society, the American Society of Limnology and Oceanography, the American Geophysical Union, and Sigma Xi. He is Professor of Chemistry at the Scripps Institution of Oceanography, with which he has been associated since 1949. Woods Hole Oceanographic Institution presented Dr. Goldberg with the first B.H. Ketchum Award in 1984, for his pioneering efforts and continuing leadership in environmental quality research.